A multi-layered Static Shielding bubble cushion zipper locking pouch that absorbs shock and dampens vibration. A yellow caution label warns that the contents are subject to Static Electricity damage. 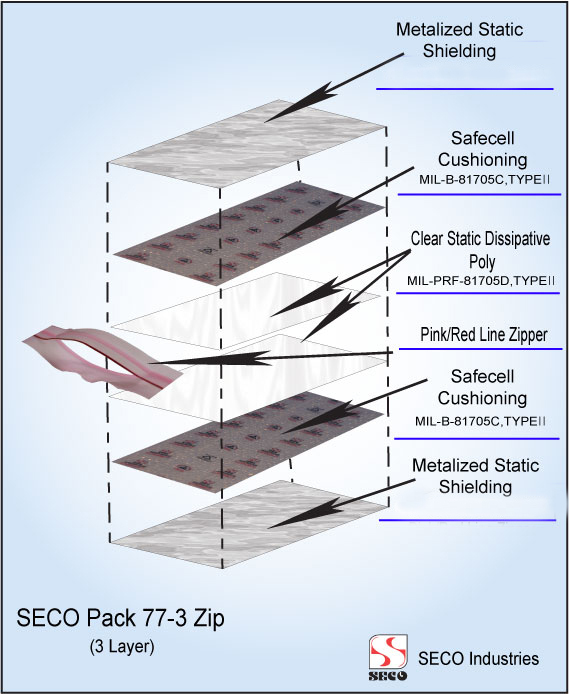 Our Seco Pack 77 has an Anti-Static dissipative inner liner with an Amine-free static dissipative cellular cushioning. It also comes with a Double Track Static dissipative zipper lock. They are highly reusable and durable. The Seco Pack 77 is also coated with Metallized E.S.D Shielding. Meets Mil Spec PPP-C-795C. 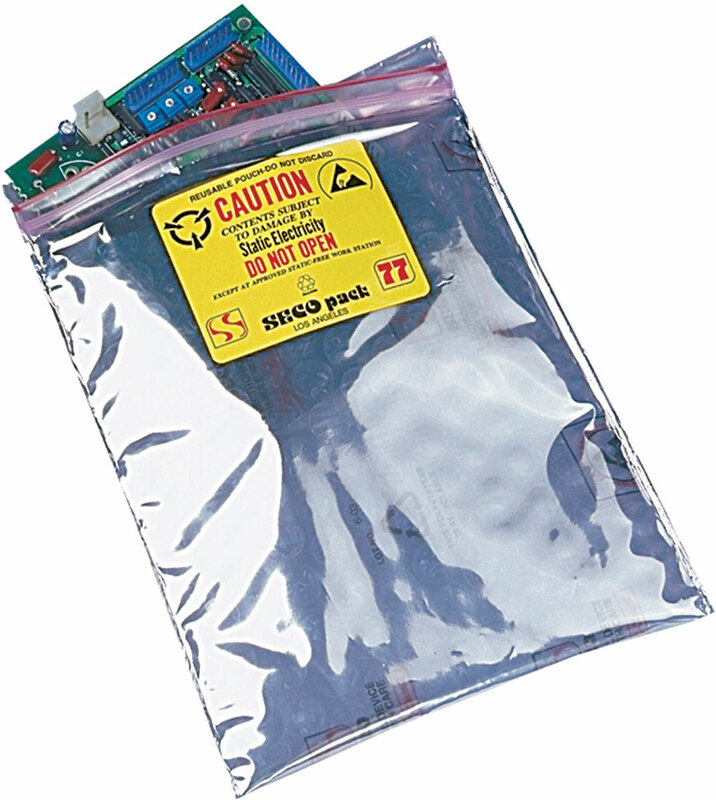 Heavy duty multi-layer Static Shielding cushion provides faraday cage for RFI protection with ESD Safecell cushioning. Inner layer of E.S.D protection and a press seal zipper closure. The value shown above were based upon the information supplied to International Plastics. Products users should make his or her own test to determine the suitability of the information and conclusions therein. No salesperson, representative or agent of International Plastics is authorized to give any guarantee, warranty or make any representation contrary to the above.